ชื่อ/สกุล ……. อาชีพ…… E-mail …… เบอร์โทร……. 12:30 Exchange experience of volunteer work and present your bag. 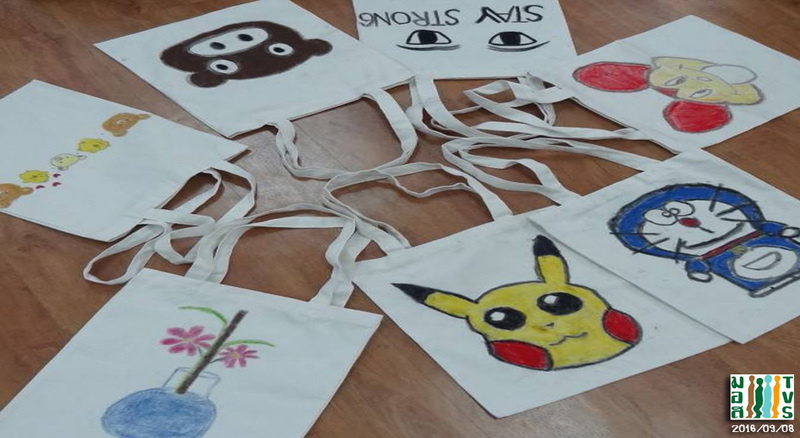 After finish activity, you will get painted-bag for yourself or you will give to others. By bus… (line 136 / 137/ 172/ 185/ 179/ 206/ 514/ 73ก /517) get off Soi Ratchadaphisek 14 opposite the Kunnatee School, walk into Ratchada 14, you will see 7-11 Mart, turn right and walk straight then turn left in front of You Mansion, walking onward for approximately 50 meters ……………………. * drive yourself Parking in front of TVS building. There is no charge, but there is so few parking space. If it is full, you need to park at a private parking lot behind the Summer Mansion 1, you need to pay lump sum fee for parking 50 baht/day.